Andy Brews! a photo by Bjava on Flickr. Have you been in lately to have a cup on our new brew bar? 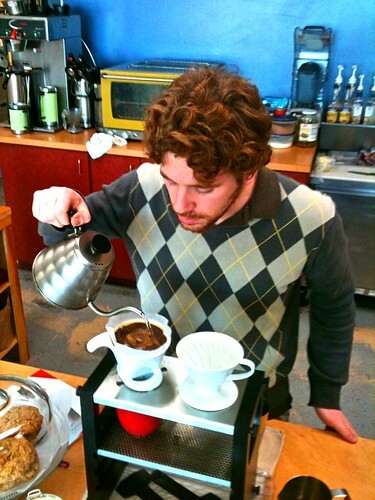 Bjava Coffee is the first independent coffee shop in Indianapolis doing the pour over coffee station. We have several friends in the industry who have been offering fresh cups of coffee this way for a very long time. Our pour over coffee bar is available to travel with a barista for a fee. Give us call if you need a coffee bar for your office or gathering! Stop in and try a cup freshly brewed just for you!